Let’s be honest, pumpkin carving is difficult. Sure, whenever you attend some sort of Halloween soiree that involves sculpting the orange gourd, there will always be a couple of pros who manage to rustle up an intricately detailed piece of fine vegetable art. But for most of us, it’s more likely a case of courting quizzical glances as guests try to fathom exactly what that oddly shaped thing you’ve haphazardly carved is meant to be. 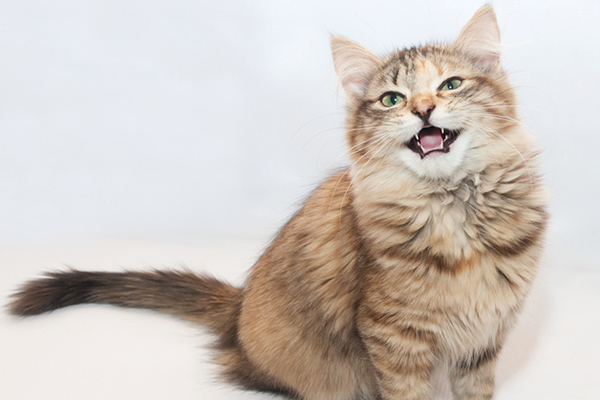 If this sounds like you, maybe it’s time to start taking a cue from Katniss Cat Reporter. 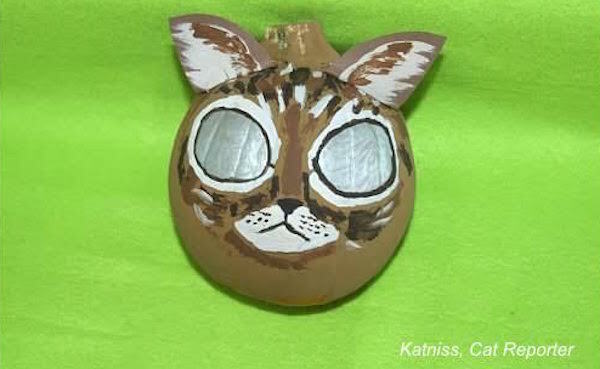 Katniss is a cat, a Domestic Medium Hair blogger whose human has ditched the idea of carving pumpkins in favor of painting them as cats. 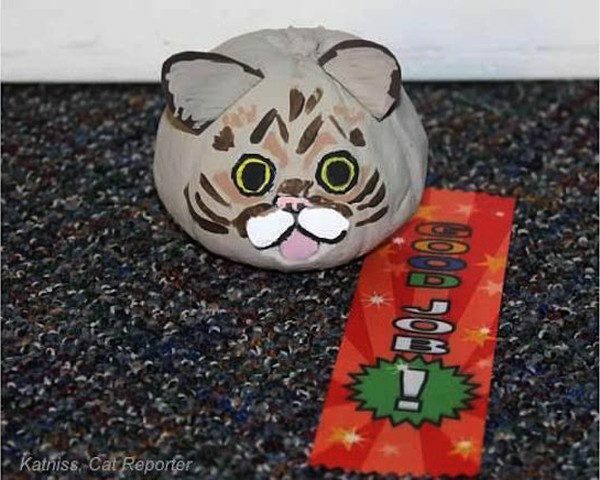 Specially, she paints them as famous Internet cats. 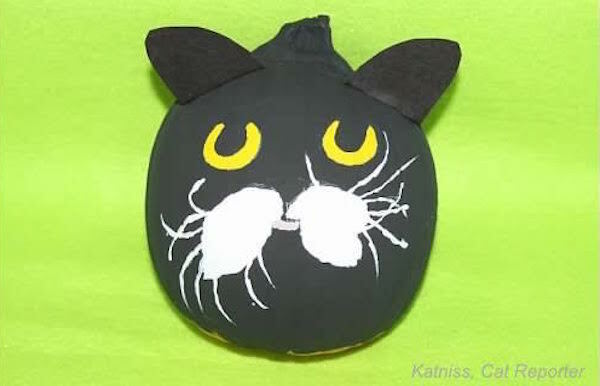 Let’s have a look at some of Katniss’ work, and we’ll interview her along the way to dig into some of her pumpkin tactics. We’ll start with Kyle. Here he is in pumpkin form. And here’s the real Kyle. 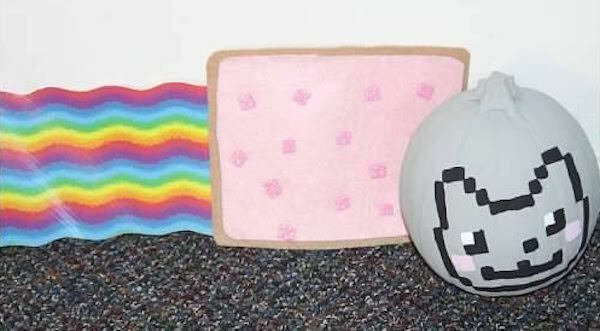 Next is Nyan Cat, a the cartoon Pop-Tart/rainbow feline, shown here as part of a balanced gourd combo. 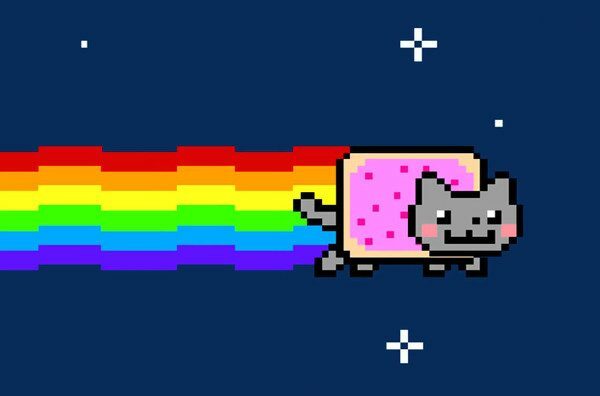 And here’s the “real” Nyan Cat. 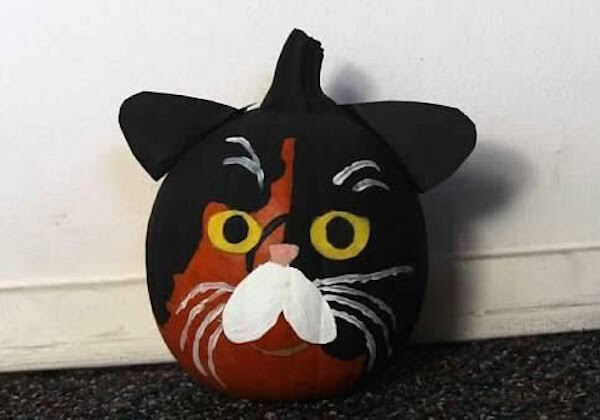 Nyan Cat was among famous internet felines first depicted on pumpkins by Katniss’ human; the initial batch included such famed feline luminaries as Grumpy Cat, Keyboard Cat and Lil BUB — although Katniss adds that she’s not sure which of the bunch was technically painted first. And here’s Trident as mammal. 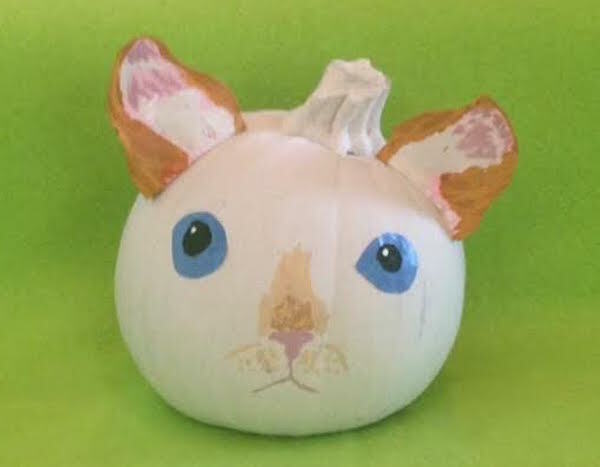 Trident is among this year’s fresh batch of cats-as-pumpkins. 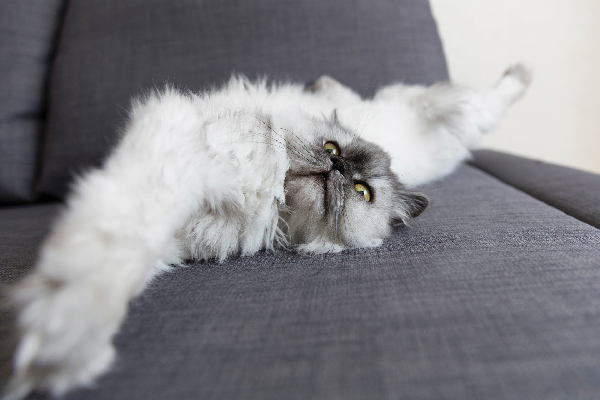 Others include Scuba, Trident, Wallycats, Coby, Imogen the Kitten, Shironeko, Sophie the Model and Pounce de Leon. 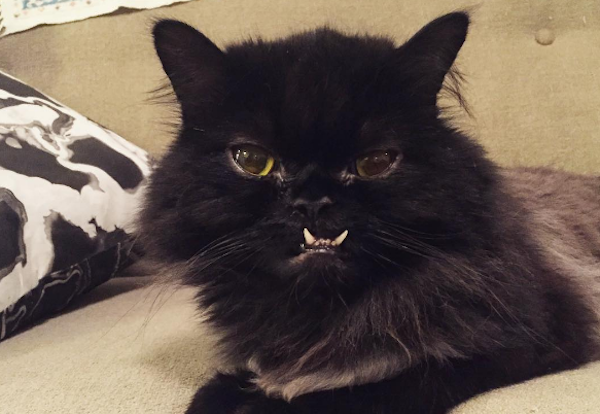 Here’s the scruffy underbite wonder that is Princess Monster Truck as rendered on an organic sphere. And here she is in all her ragged glory. 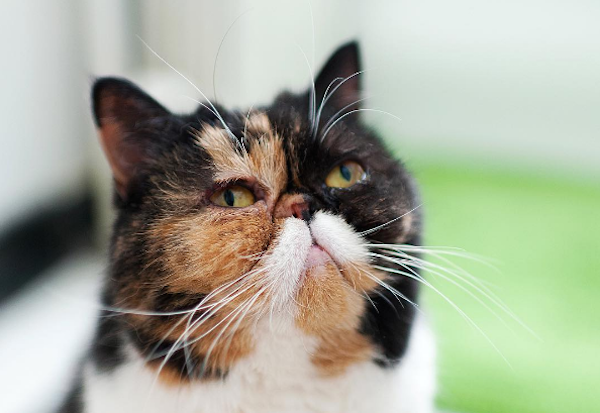 Here’s a pumpkiny good version of Pudge. 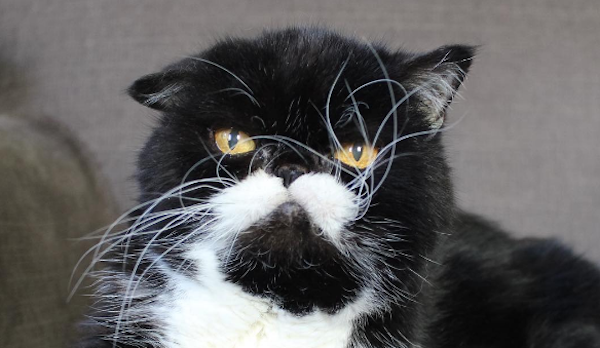 Pudge illustrates how ears are rendered. 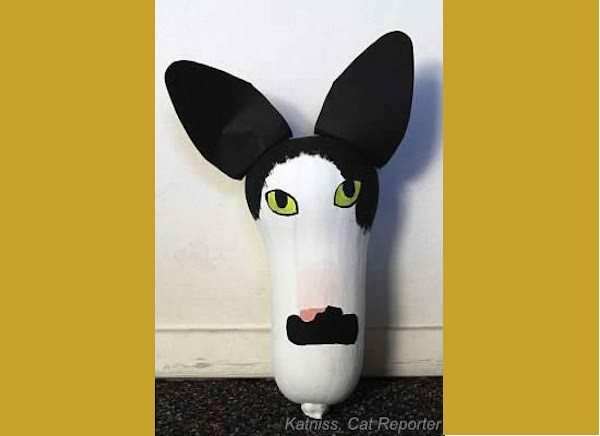 As you may have noticed from the pumpkin pictures so far, Katniss’ human rustles up external feline ears out of paper and then paints and pins them to the pumpkin. 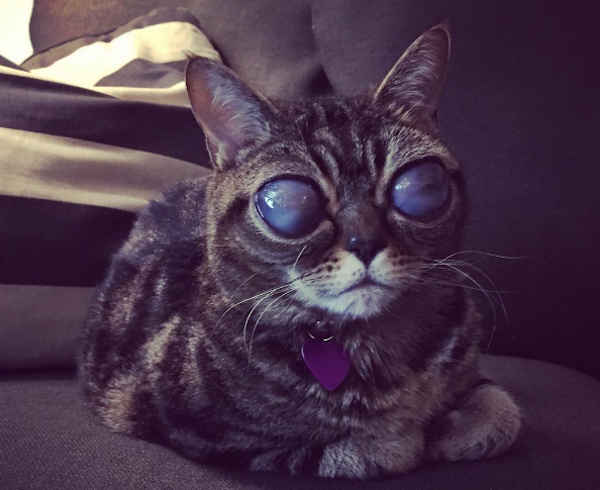 Here’s the vegetative rendition of Lil BUB alongside a ribbon bearing her signature compliment. 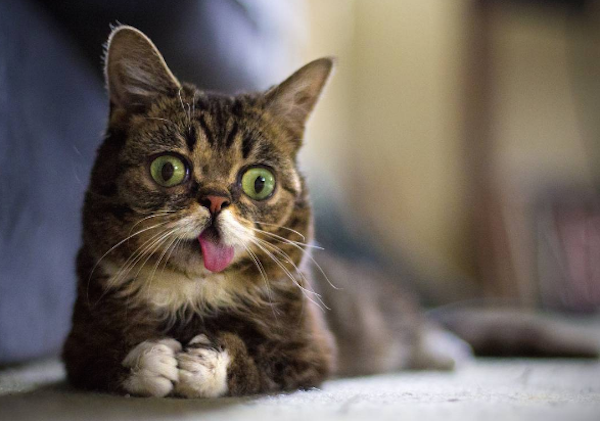 Here’s the real BUB looking lovingly half-crazed. 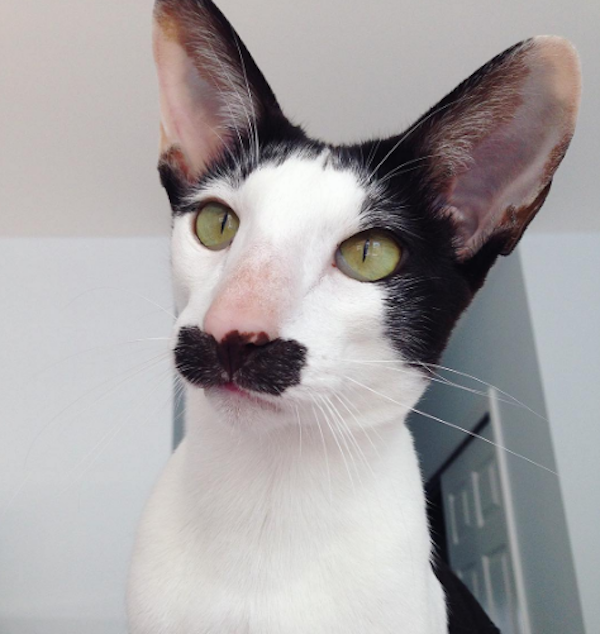 Why the long face, Stache? Oh. I see. Great rendition! You might think this vegetable version of Matilda is exaggerated. But then you see the real thing. 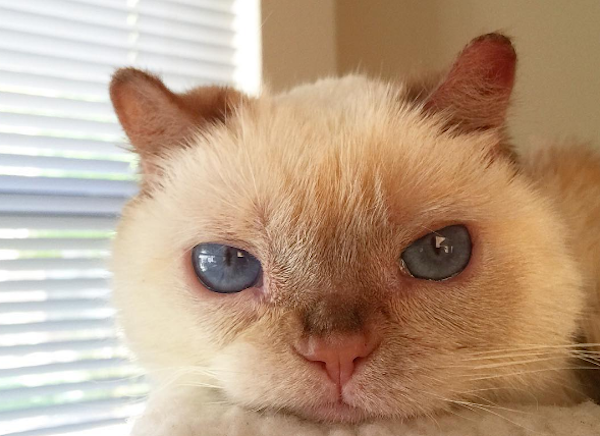 Matilda, unfortunately, suffered from an eye condition that stumped many vets, according to her owners. 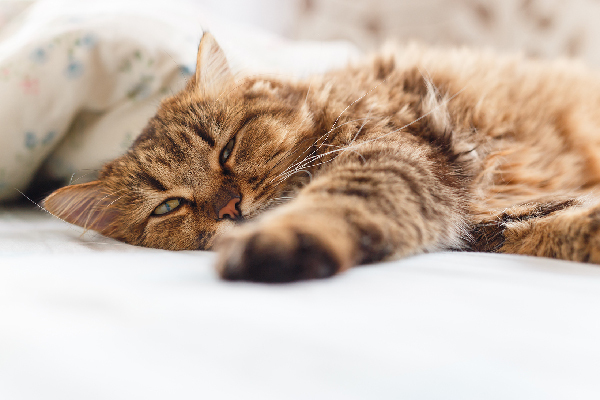 Eventually, she had her futuristic-looking eyes removed, in a rather icky sounding procedure. Now she’s said to be recovering just fine and adjusting to her new eyeless state. 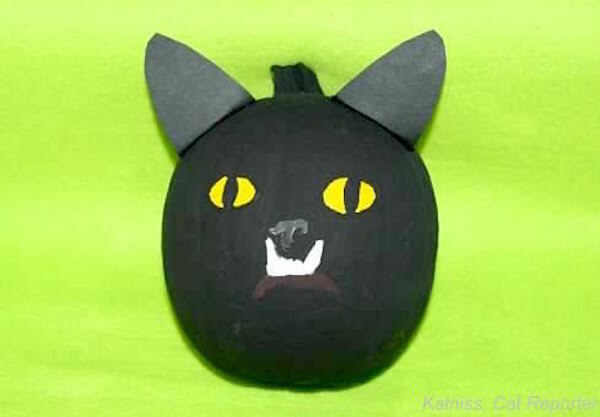 Speaking of alien materials, once Halloween is over, Katniss says, she might try to persuade her human to experiment with turning other vegetables into cats. “Hmm, maybe I can persuade her to think beyond pumpkins,” she says. 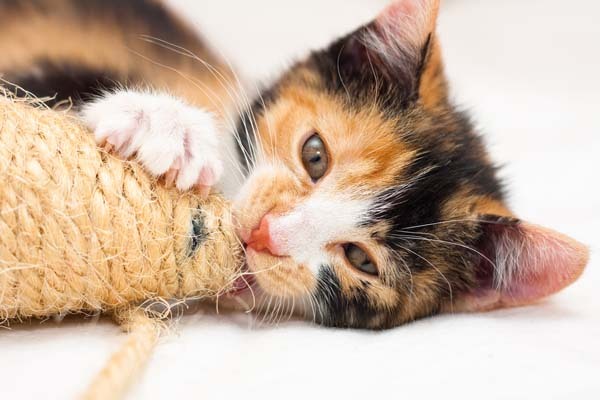 Check out more of Katniss’s musings over at her Facebook page.